When it comes to pieces you need to survive winter, outerwear is key. From wool coats to leather jackets and parkas, you only need to invest in a single really good one that you know you can wear year after year and maximize your cost per wear. 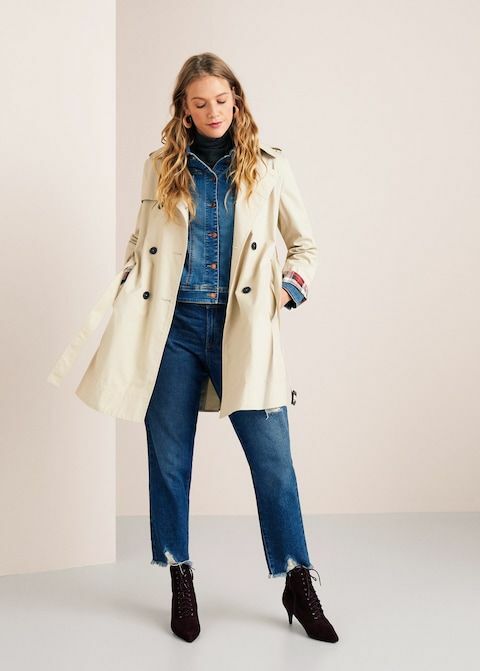 However, season after season, trends change, and it’s hard not to give into trend-forward pieces you can find at all your favorite fast-fashion brands for a fraction of the price. Now, one thing that has helped us shy away from unnecessary consumerism throughout the years is to consider a few factors, like quality over quantity. If we really don’t need it or if, judging by where fashion is going, we can’t envision ourselves wearing it more than three times, then it’s a hard no. Of course, “investment” means different things to different people, so if you’re in the market for an under-$250 coat that’s still top-notch or you have a bit more room to spend, remember that the best part of investing in quality outerwear is that you go for more budget-friendly pieces when it comes to layering, and you’ll always be warm. That being said, we made it our mission to find 12 outerwear pieces that will surely last plenty of seasons and cross the investment spectrum. Trench coats are hands down the best transitional outerwear piece. Jump on the puffer jacket bandwagon and you'll find out why they're life-changing. No winter storm will be a problem with this coat. No outwear collection is complete without a good statement coat. If a leather coat is good enough for The Matrix, it's good enough for you. Invest in a timeless coat like this one—you won't regret it. A black coat in indispensable. Raincoats have come a long way since the yellow ones you used to wear when you were a toddler. Invest in one. You can never have enough neutral-colored coats. But it's nice to have one bold one to refresh your winter outfits. How could we forget a great leather jacket? Next, check out 30 other investment pieces you should consider in 2019.